We may not have robot butlers (yet!) 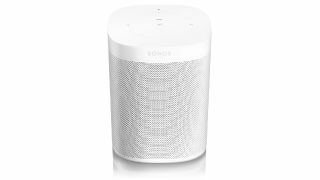 but a Sonos One with Alexa for $174 might be the next best thing. Start and control songs, check news and traffic, manage smart devices, and use Amazon's digital assistant Alexa, all using just your voice. This fabulous little home smart device released earlier this year, but only just this weekend got its first-ever sale price drop. That makes it one of the best Black Friday deals in our book. Oh, did I mention you don't have to worry about cables because it's wireless? And that Sonos sound quality is consistently ranked among the best? Seriously, listen to one inside someone's home and you'll hear what I mean. And if you need some suggestions on what to play through your Sonos, we've got a handy list of this year's best Black Friday entertainment deals. Take a look!